Silly season in the transfer window has seen Liverpool linked with Besiktas defender Domagoj Vida. 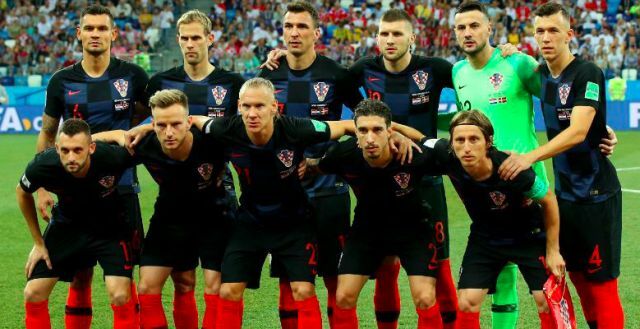 The Croatian international has played three of his nation’s four World Cup games so far, missing the win over Iceland as one of many starters rested ahead of the Round of 16. Vida’s bullish performances alongside Liverpool’s Dejan Lovren have seemingly fuelled his value amid reported interest form on Merseyside. The Reds have supposedly joined city rivals Everton in expressing an interest in the 29-year-old. Jurgen Klopp appears satisfied with his current options at Liverpool and is unlikely to be in the market for another central defender. Lovren and Virgil van Dijk look set to remain the German’s first choice centre-back pairing after playing an instrumental role in helping secure a top four finish and a spot in the Champions League final last season. Both were notably outstanding in Liverpool’s defeat to Real Madrid in Kiev, with Lovren in particularly capping off an admirable individual revival over the second half of the campaign. Joel Matip will return from his injury layoff as capable competition for a starting spot, having showcased an encouraging composure and aerial dominance in his first season at Anfield. Klopp has also been open about his hopes of retaining the services of Ragnar Klavan as a reliable alternative beyond the summer. Any defensive acquisition is now likely to be reliant on what the future holds for the Estonia captain. The chances of another centre-back arriving look even slimmer when considering Joe Gomez’s aim to eventually transition into his preferred central role. Vida to Everton looks the more likely scenario.